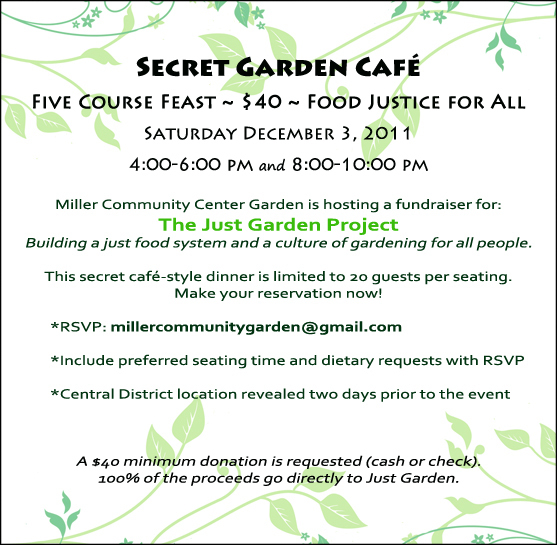 Miller Community Center Garden is honored to host a fundraiser in support of the Just Garden Project. Click to enlarge the invitation below. We hope to see you there!